LEXINGTON, Ky. (Sept. 22, 2010) − For many, the folk music of the Southern United States lies well outside the cultural mainstream, existing primarily in the region of its inception and rarely receiving popular attention. 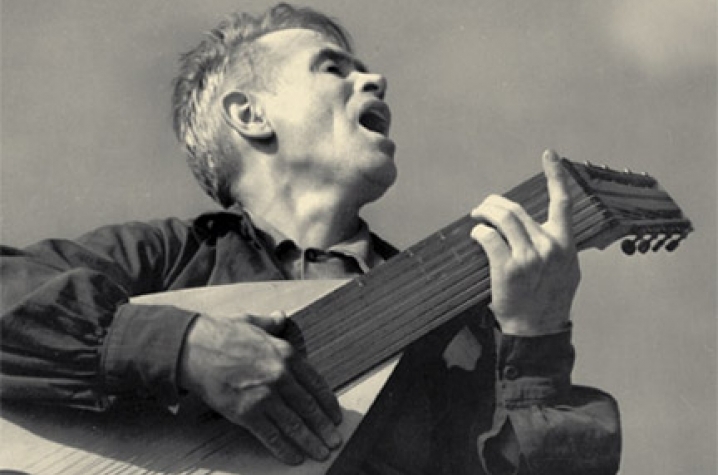 However, when John Jacob Niles brought rhythms and melodies of the folk tradition to mainstream venues, both critics and musicologists were left speechless, unable to classify Niles as either a folk or popular artist. As the original “poplorist,” Niles united musical styles in a way that no other performer had before, bringing his own personal interpretation of both original and time-honored folk compositions to art stages across America. "I Wonder as I Wander: The Life of John Jacob Niles" by Ron Pen, director of the University of Kentucky John Jacob Niles Center for American Music, is the first biography devoted to this influential American musical figure. University Press of Kentucky honored the new work and its author with a book release celebration Sept. 15, at the Niles Gallery, in UK's Lucille C. Little Fine Arts Library and Learning Center. On hand to recognize the major achievement was featured guest speaker John Edward Niles, son of the celebrated balladeer and composer. Additionally the event included performances by the Niles Quartet; Jacqueline Roberts; UK faculty Dennis Bender, Cynthia Lawrence, Tedrin Blair Lindsay and Noemi Lugo; and a select choral ensemble from the UK Choral Program directed by Jefferson Johnson and Brock Terry, as well as readings from the book by Pen. 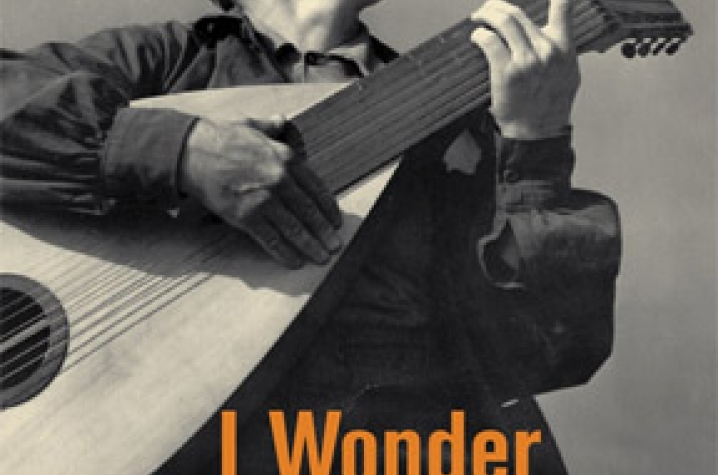 "I Wonder as I Wander" explores Niles’ career, not only illuminating his influence on the American cultural landscape, but also illustrating the country’s musical development, ranging from rural folk roots to World War I songs and from the burgeoning American art song tradition to the folk revival. Pen conducted extensive research over a period of 27 years, using Niles’ own accounts, journals, notebooks and unpublished autobiography to create a comprehensive narrative of the noted musician’s life. Niles’ love of music began at an early age, as he started collecting folk compositions at the age of 12. By 1907, he had composed his first song, titled “Go ’Way from My Window,” the same song that would be quoted by Bob Dylan nearly 60 years later in “It Ain’t Me Babe.” Niles served in the army during World War I and became interested in collecting the songs of fellow soldiers, later publishing collections such as "Singing Soldiers," "Hell on Wheels" and "Songs My Mother Never Taught Me." In the early 1930s, he began his collaborations with photographer Doris Ulmann, taking several trips to Appalachia that proved to be highly influential on his style. Not only did he gather more songs for his collections, but a series of encounters with local musicians, most notably Balis Ritchie, the father of the famous folk singer Jean Ritchie, motivated him to adopt the dulcimer as one of his primary instruments. Niles’ skills on the piano and distinctive vocal timbre set him apart as a performer, and in 1929 he joined forces with Marion Kerby, a soprano with whom he would tour throughout the 1930s. The two performed a varied repertoire of African-American compositions and “mountain music,” and Kerby often used her skills as an actress to interweave anecdotes and folk stories into the concerts. Niles’ headstrong dedication to his career drastically affected many relationships in his life, resulting in the dissolution of his professional relationship with Kerby, as well as his divorce from his second wife, Helene Babbitt. Aspects of Niles’s personal life, especially his longtime relationship with Ulmann, often drew questions from outsiders, but he quelled the whisperings with his third and final marriage to Rena Lipetz. Pen is an associate professor of musicology at the UK School of Music. 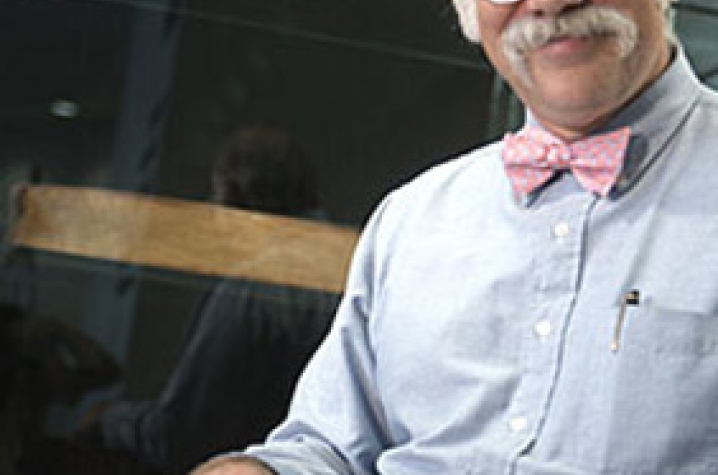 He also serves as director of both the Niles Center and the Appalachian Studies Program at the university. Pen is the editor of "The Ballad Book of John Jacob Niles" and is also active as an old-time fiddler and a shape note singer.